Home | NU Packaging, Inc.
NU Packaging was established in 2001. 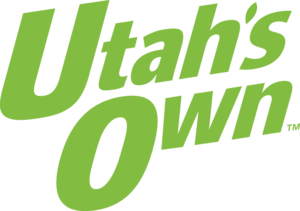 In these years we have become one of the fastest growing wholesale packaging companies along the Wasatch Range. Our superior service, expertise in a vast amount of packaging materials, and top of the line staff, has helped us become a well established and respected packaging company in Utah. With NU Packaging, you know you're in good hands. We offer true next day delivery, top of the line VMI services, and a wide range of product options. We have over 150 years of combined experience in displays, custom packaging, and stock shipping supplies. We know that most people who come to us knows next to nothing about packaging supplies and custom packaging. At NU Packaging, we pride ourselves in having knowledgeable staff that are willing to guide you in the learning process. There's no shame in not knowing all the ins and outs in the packaging industry. That's why we're here! Our sales team will sit down with you in 1-On-1 discussions about which type of product is best for your needs. Contact our sales team and let us help you streamline your products and save money from excess packaging. At NU Packaging, we don't get you started only to quit on you half way through. We take the time to learn about your needs, advise on alternatives if needed, and follow through once your product is complete and delivered. We know that getting your product into your customers hands is a stressful job, which is why our sales team works tirelessly in making sure your needs are taken care of. When you are creating your product, packing your product out and getting it safely into your customers hands isn't always at the front of your design process. Thankfully, that's why we're here; to help you design stylish, practical, and economical packaging. Your packaging will represent your company and showcase your product. It will protect it from shipping and get it safely into your customers hands. The packaging that we at NU Packaging will help you create, will be viewed by thousands of prospective customers while sitting on the shelf, or the custom display sitting in the marketplace. Come have a look at some of the custom displays we've made. Or some of the beautiful custom packaging our customers are thrilled about. Meet the staff that will guide you in your packaging experience. You've spent tireless nights designing your product, getting it manufactured, assembled, and ready to ship out. Your product becomes your baby. We get that. That is how we go about designing your packaging that will protect your baby. Landing your finalized masterpiece in the hands of your awaiting customer. Designing the packaging that is going to transport your product isn't a laughing matter. Let us guide you in the design process to make sure you get what you want. We could write page after page about how well we understand the design process and how good we are at our jobs... but we truly believe that a picture, is worth a thousand words.